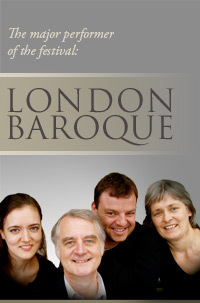 Ticket sales for the concert of London Baroque have started. Tickets are available at the price of 3500 HUF in the Concert & Media Network and the Tourinfom Office of Vác. Xou can also book tickets online in the Ticket booking page of this site online as well as on www.jegyelado.hu. Admission to all the other concerts of the festival is free. We are grateful for your donations.